Those of us who work with WordPress on a regular basis tend to have our own list of favorite plugins and themes. They’re the standbys we turn to time and again to make sure that our projects are a success. It’s a winning strategy. But when working with commercial assets, having to buy a separate license for each new project can be difficult. It can cost a small fortune financially – not to mention the hassle from managing all of those separate licenses. Wouldn’t it be so much better to have unlimited access to the best WordPress themes and plugins – all for one flat price? Thankfully, Envato Elements has listened to the needs of web professionals and have launched a WordPress section to their popular subscription service. Finally, the WordPress assets we need, whenever we need them! One thing a busy web designer doesn’t have enough of is time. Every moment needs to be a productive one. So scouring the web for a decent WordPress theme or plugin can become a hindrance on our ability to get things done. What Envato Elements has done is build a curated collection of outstanding WordPress themes and plugins. That means we no longer have to waste precious time looking around for that high quality resource we need – it’s all there in one convenient place. And the unlimited subscription model means that we can go back to it at anytime. Plus, the simple and straightforward licensing agreement ensures that you can use what you’ve downloaded for both personal and commercial projects. And you’ll be able to keep on using them – even if you’re no longer an Elements subscriber. This collection is designed to help you save both money and time. You’ll have professional grade WordPress assets at your fingertips – a designer’s dream. Envato has built a reputation as the go-to marketplace for web designers searching out top-notch resources for their WordPress projects. 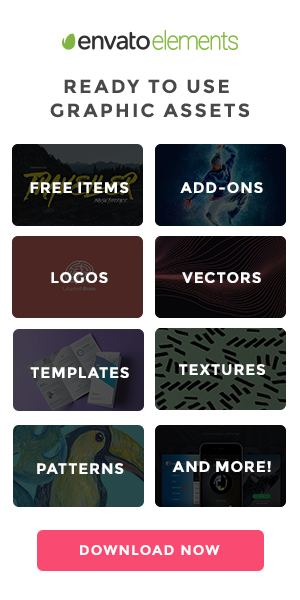 So when it comes to this new collection for Envato Elements, you can be confident in the quality of each item. Oscar is a great fit for freelancers or agencies that want to showcase their work. It features a powerful portfolio module that provides flexible layout and functionality. Lotus is a WooCommerce-compatible theme that will help you sell in style. It’s fully-responsive and offers an extensive options panel for tweaking. Kingstudio is a multipurpose theme that comes loaded with multiple demo styles to match your needs. You’ll also find tons of customizable options, including a custom header builder. PromoGear empowers you to create stunning one-page sites that can be tweaked to fit just about any industry. Based on Bootstrap, it features lots of extras to help you stand out from the crowd. Ology is a niche theme aimed at educational sites. Featuring an ultra-clean look and plenty of opportunities for customization, this theme has the flexibility you need. WordPress Store Locator is a WooCommerce-compatible plugin that will help your visitors find a retail location closest to them. With auto geolocation and more than 10 layouts, you can build a store locator that fits your brand. WP Smart Fullscreen Menu helps you build beautiful and intuitive navigation. It features lots of options for customization and the ability to activate after a visitor clicks an existing element on your site. Fast Gallery Mosaic enables the creation of gorgeous image galleries in short order. Take advantage of five gallery types and a whopping 10 styles. Pro Event Calendar is a powerful way to add events to your site. Import events from outside sources, let users submit events on the front end or create them yourself. PrivateContent is a great choice for those looking to build a membership-based website. You’ll get unlimited user levels, registration forms and the ability to restrict content to fit your needs. The collection of WordPress goodies available at Envato Elements is just getting started. Watch for a steady stream of new plugins and themes to be added regularly. 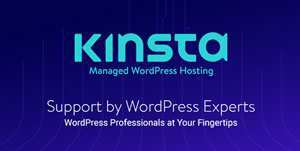 Imagine having instant and unlimited access to some of the best WordPress themes and plugins: All in one place and without having to purchase multiple licenses. Envato Elements has made it a reality! Sign up for an annual subscription today and gain access to this new collection, along with over 400,000 digital assets. Your workflow will never be the same.